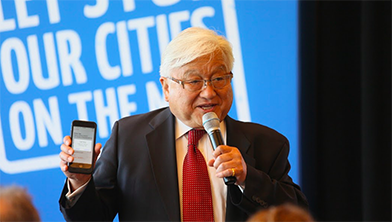 Mike Honda is the Representative for California’s 17th Congressional District in the heart of Silicon Valley, covering portions of Santa Clara and Alameda Counties. Honda’s district is the first Asian American-majority district outside of Hawaii. He serves as Ranking Member on the powerful House Committee on Appropriations, Subcommittee on Commerce, Justice, Science. He also serves on the Subcommittee on Energy and Water Development, and Related Agencies.